There’s something a little childish about the idea of using crayons to color your homemade candles. 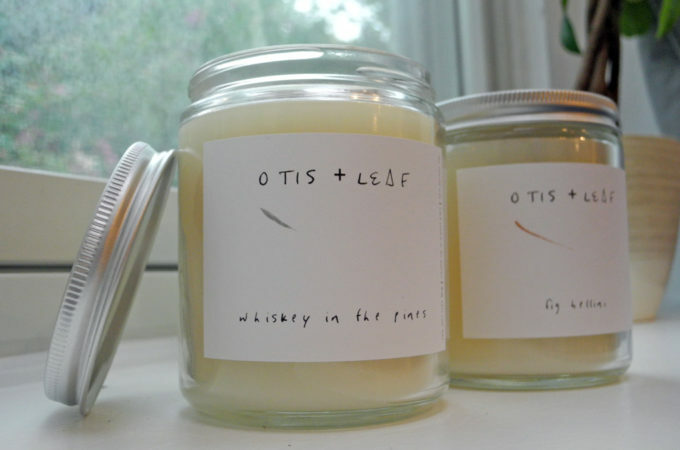 So I decided to come up with a candle aesthetic that’s anything but. 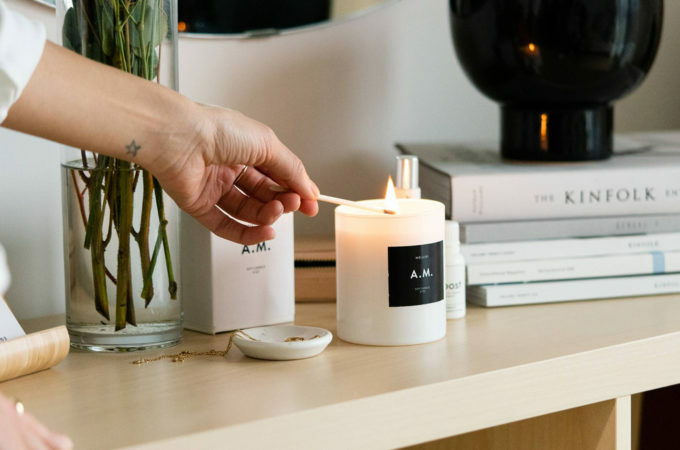 Harnessing one of my favorite trends, ombré, and using essential oils for scent, these candles elevate the look of the typical crayon candle—and don’t smell anything like an elementary school. 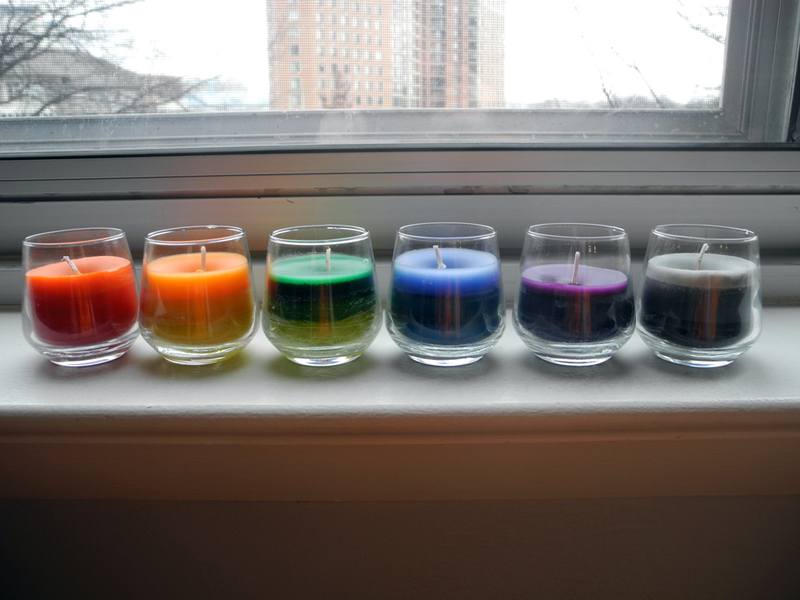 Even better, I created these candles in an afternoon, using mostly ingredients I have around the house! 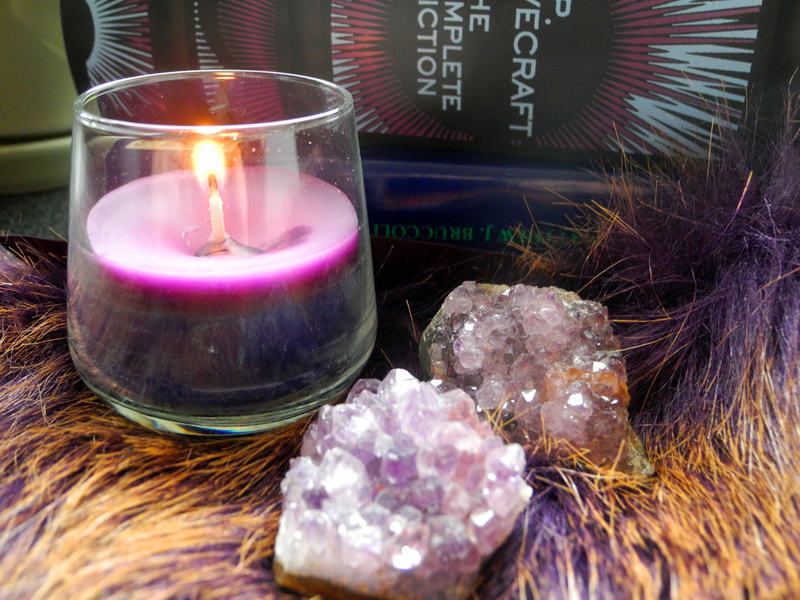 Here’s how to make some ombré votive candles of your own. One pound of soy wax flakes or a one pound solid block. If you use a solid block, be ready to chop it up! Cotton candle wicks. Be sure to get more than you think you need. 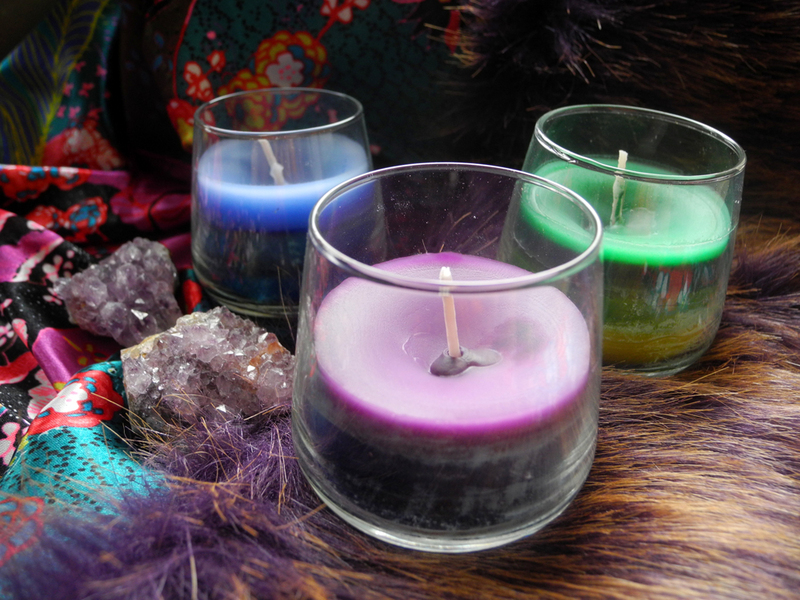 Candle votives. Feel free to get creative—I used a set of shot glasses instead! Crayola crayons. I used the 24-pack, but I could have gotten an even more subtle ombré look with more colors. A 6-cup muffin pan. You probably already have this! Essential oils of your choice. I matched mine to the colors I wanted to use. For example, the purple one is scented with lavender oil, the yellow one with lemongrass, and the green one with eucalyptus. Preheat your oven to 275 degrees Fahrenheit/121 degrees Celsius. 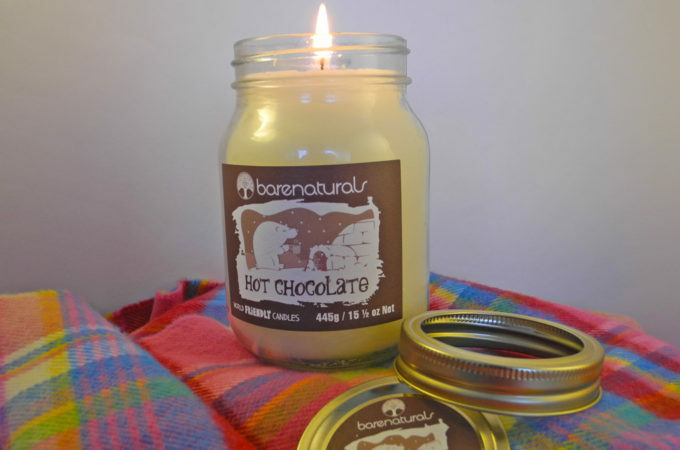 Some candlemakers will recommend 250 degrees F, but I prefer a hotter pour for a smoother candle finish. 2. 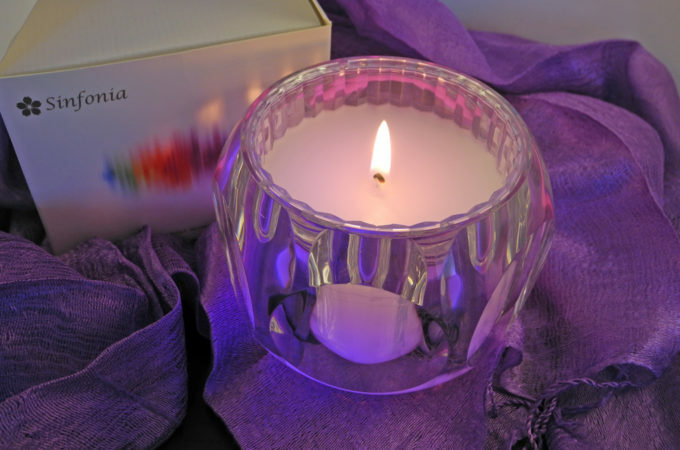 Select three crayon colors to use for each layer of your candle. 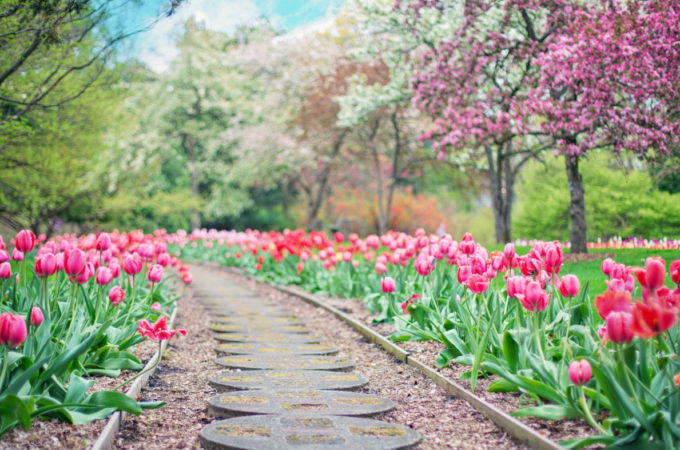 You can choose to go from dark to light or light to dark. The closer together your colors are, the more subtle the ombré effect will be. 3. 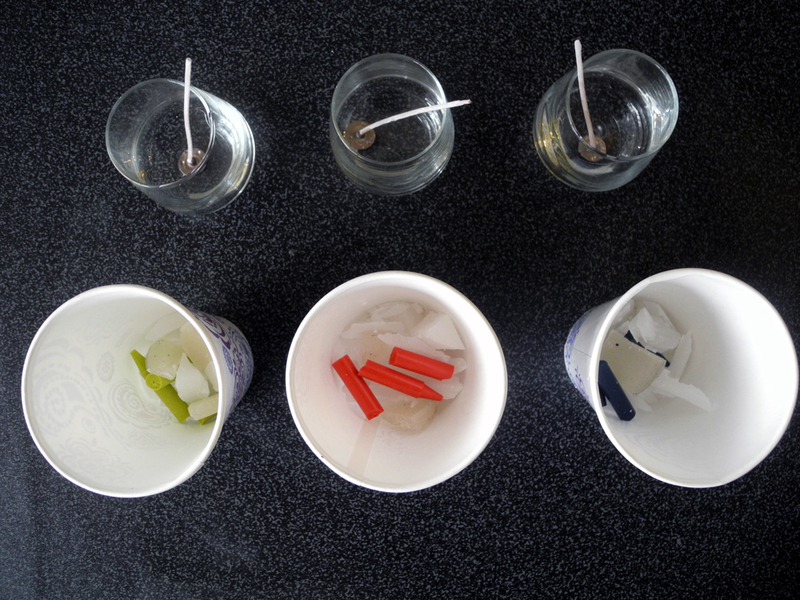 Scoop 1/4 of a cup of candle wax into each of three paper cups. Top it with broken up crayon pieces. 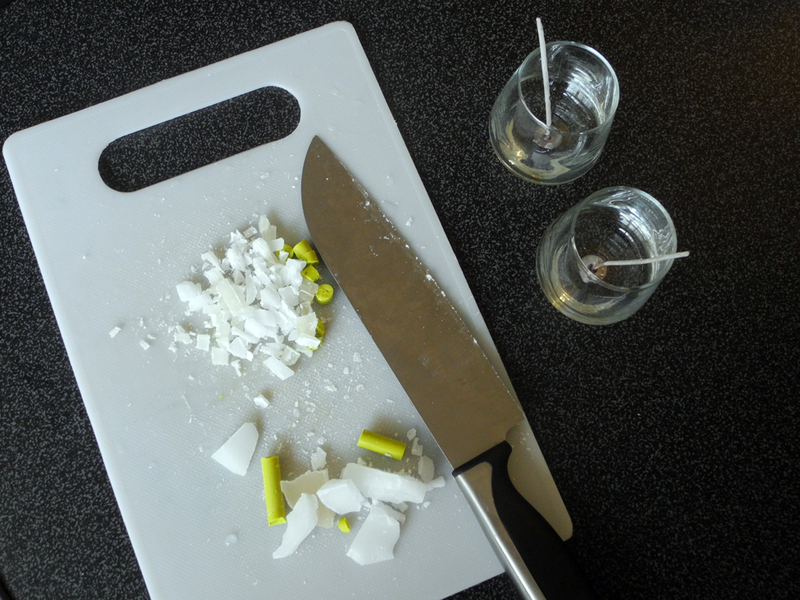 If you are using a block of wax, chop it up finely first. 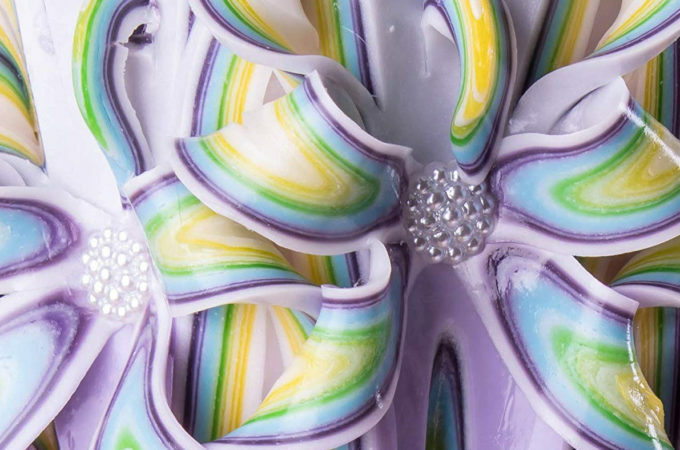 The smaller your pieces, the more even your melted wax will appear. 4. 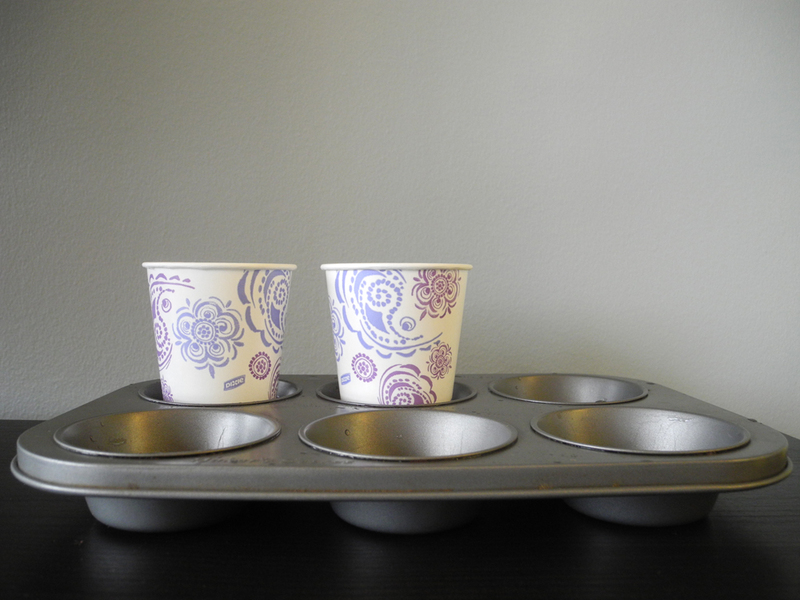 Put your first layer of wax and color into a paper cup, and place it in the muffin tin. At the same time, put a tiny amount of uncolored wax in another paper cup next to it. Put them both in the oven for 5 minutes. 5. After five minutes, add essential oil of your choice to the still-melting first layer, and put it back in the oven for 5 more minutes. 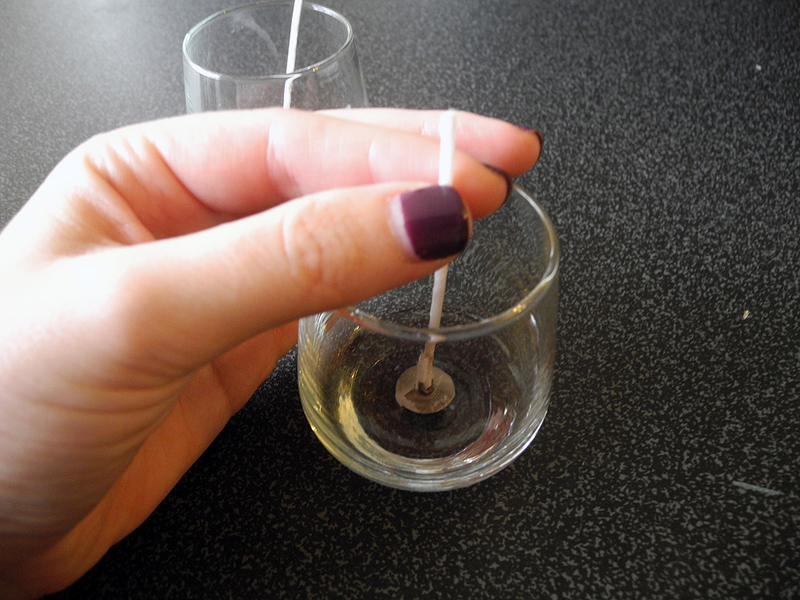 Take out the cup with the small amount of uncolored wax. 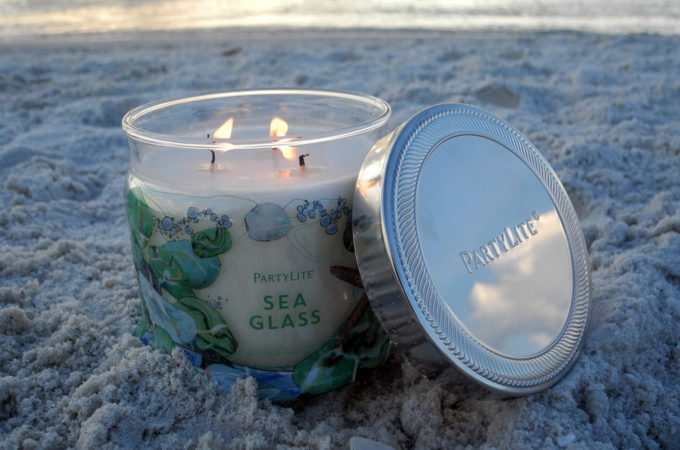 Dip your wick in it, and use it to affix the base of the wick to the bottom of your candle votive. 6. When the first layer of wax is fully melted, stir it with a popsicle stick to make sure the crayon wax has colored it evenly. Add more essential oil until you reach your desired scent intensity (probably a drop or two). 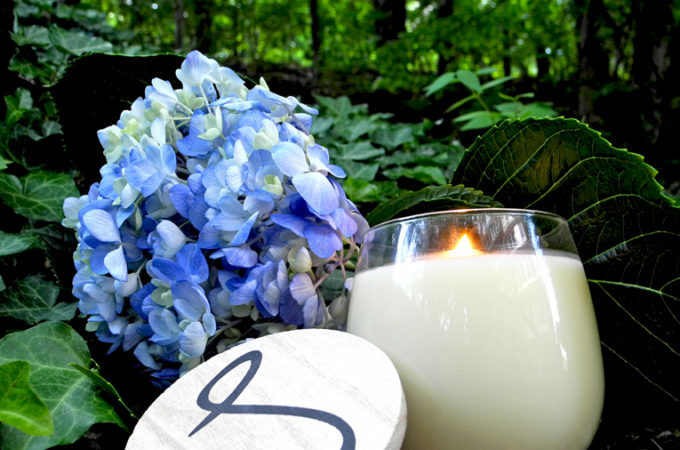 Pour the first layer of wax into the candle votive on a level workspace. 7. 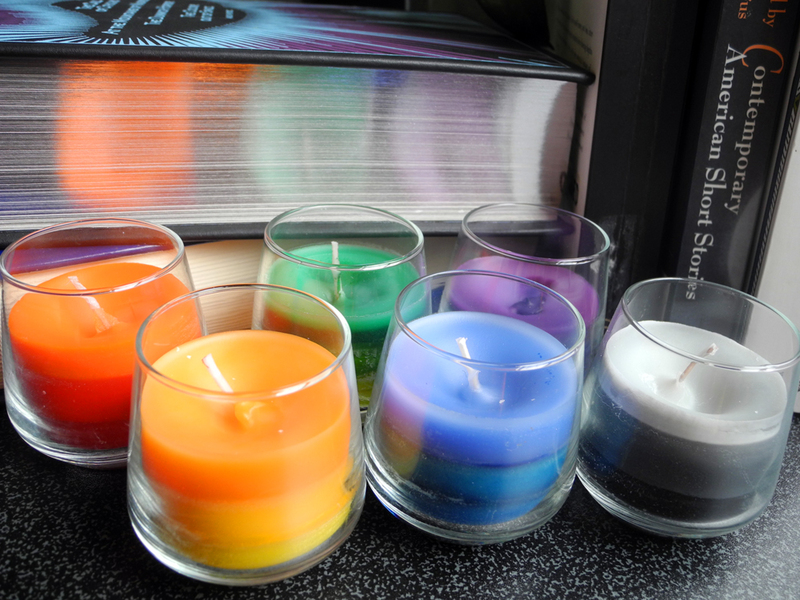 Wait until the first layer of the candle has dried for 15-20 minutes, and then add the second layer. Repeat for the third. 8. Let candle cool for one to two hours, and you’re done! 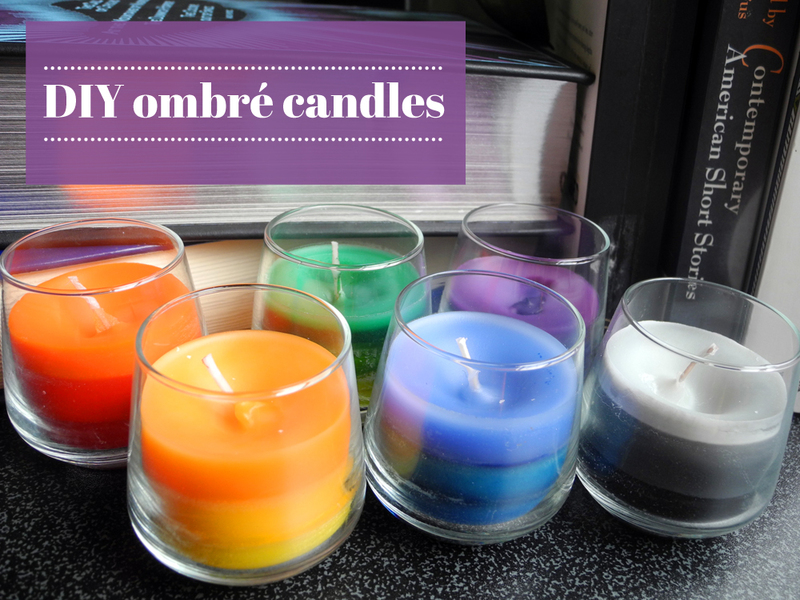 Have you made my ombré candle recipe? If so, I would love to hear about it/see your candles! Be sure to leave a comment.